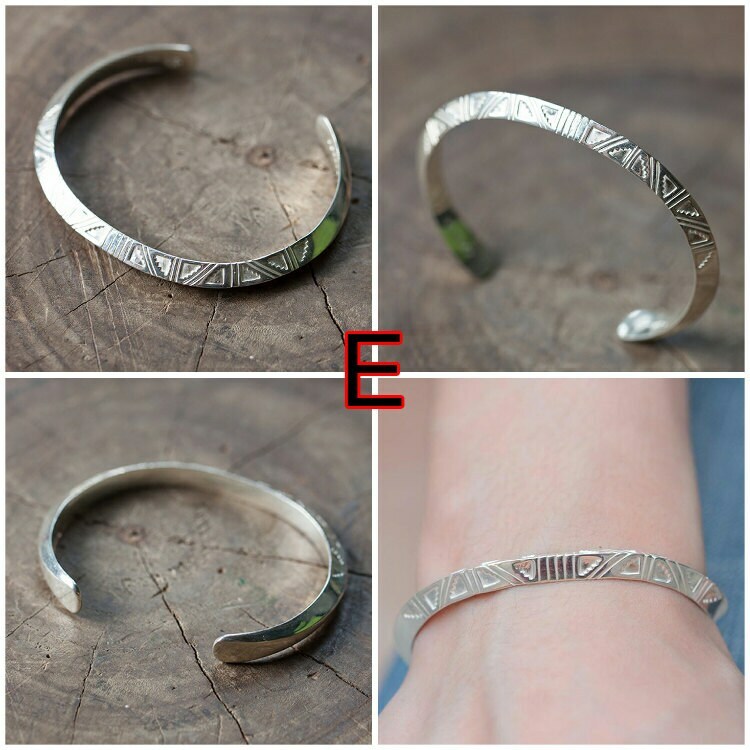 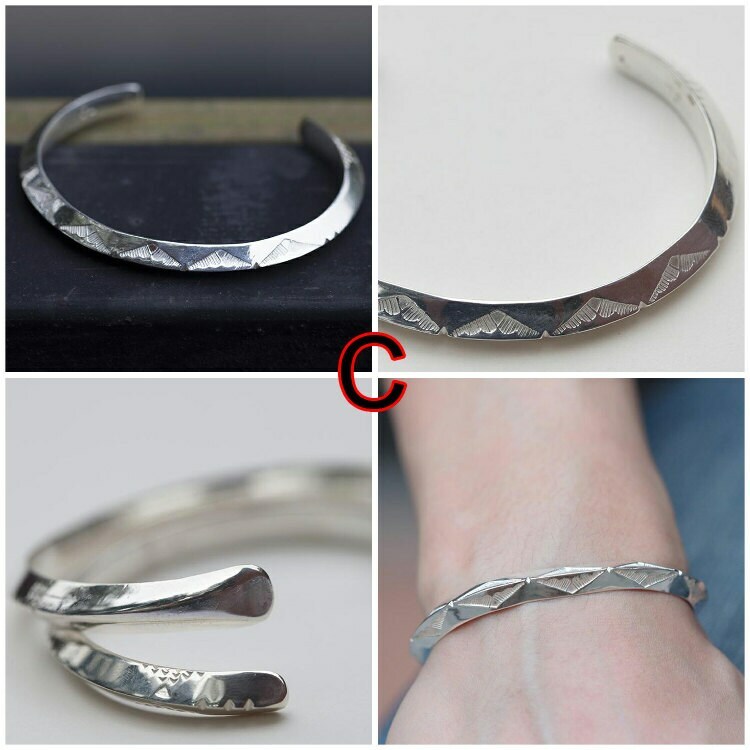 The tribal silver bangle is a handcrafted as a simple, everyday wear jewelry item, its design inspired by the Navajo motifs and culture. 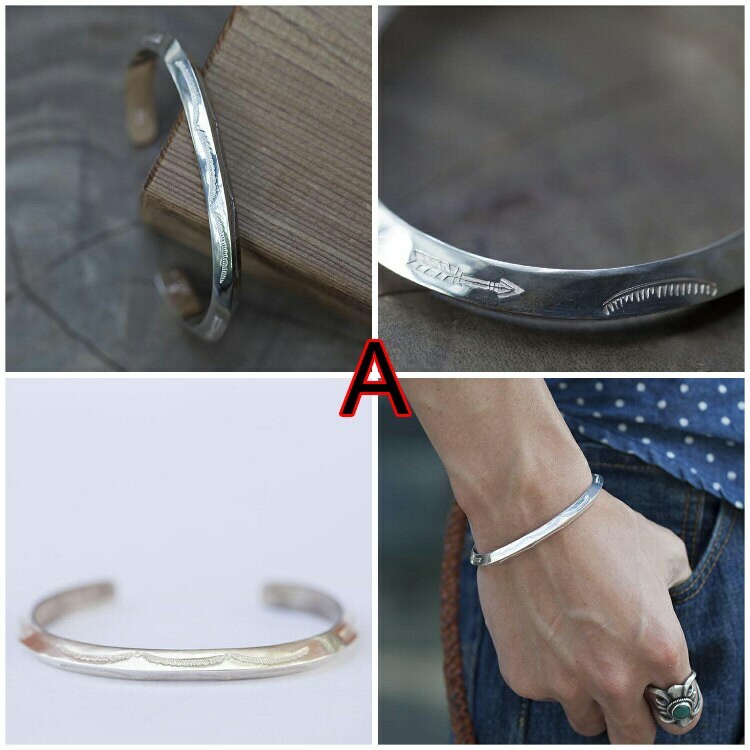 We have 5 different designs in the silver bangle collection - with different carvings in each case. 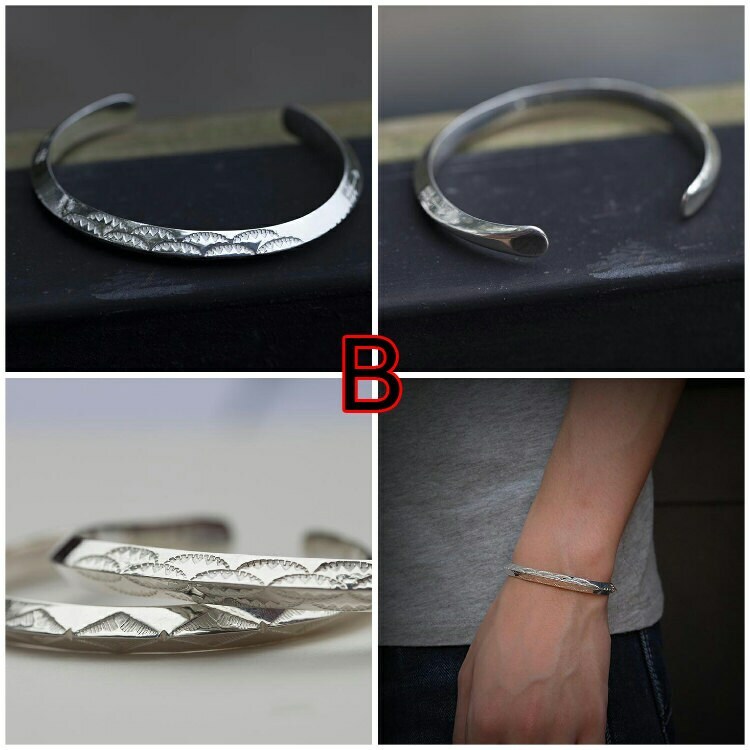 Each bangle is specially designed for easy and comfortable wear. 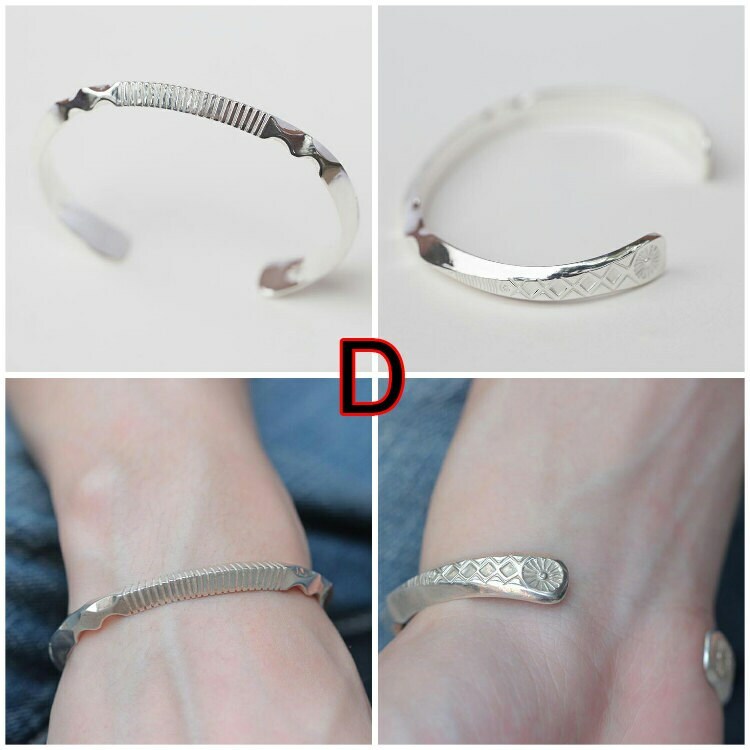 We can custom engrave English alphabets (in LARGE CAPS) and numbers (Max 7 characters) on the inner bangle - totally free of charge!